Email marketing is one of the most important aspects of online marketing. This is one easy way of providing valuable information to the customer about your products and services. You are able to engage the customer meaningfully when you have an email automation software program working for you. Research conducted by independent agencies has shown that B2B marketers implementing email automation increase their sales performance by more than 10%. What is the biggest advantage of email automation? Email automation not only helps to convert your fresh leads into new business but also ensures that you retain your core customer base. Let us look at some simple measures using which you will be able to use email automation to target local customers. 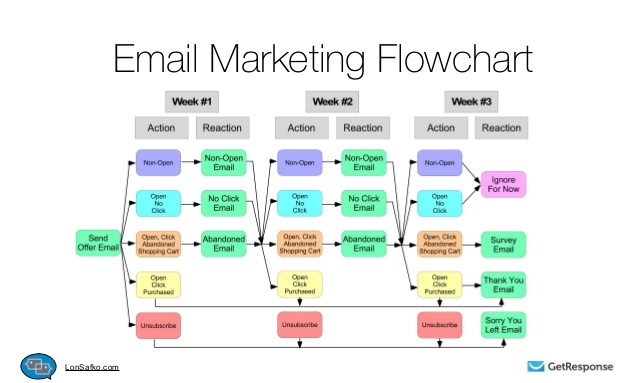 What is the email automation concept? Before moving on to the email automation measures to adopt, one should have a brief idea about the concept of email automation software. The email automation software takes over whenever your contact gets added to the list. It can be through submission of a form on your website or by merely clicking on an email link. Even viewing a page on your blog or clicking on the Adwords advertisement can end up including the contact in your email marketing list. How do you target your local customers using email automation? Email automation allows you to offer a range of connected services and products to your customers when they visit your website. Let us take a simple example. If you are an auto dealership, you would naturally want your customers to stick to your brand of automobiles alone. A dedicated email automation software program can help keep the customers in the loop by providing valuable information of the various additional services you provide from time to time. This campaign can help disseminate information about the various changes in the law and policies regarding transport. You are also able to market your new and updated vehicles by offering attractive discounts such as great exchange offers, etc. Therefore, ensuring customer loyalty is one of the key aspects of email automation. 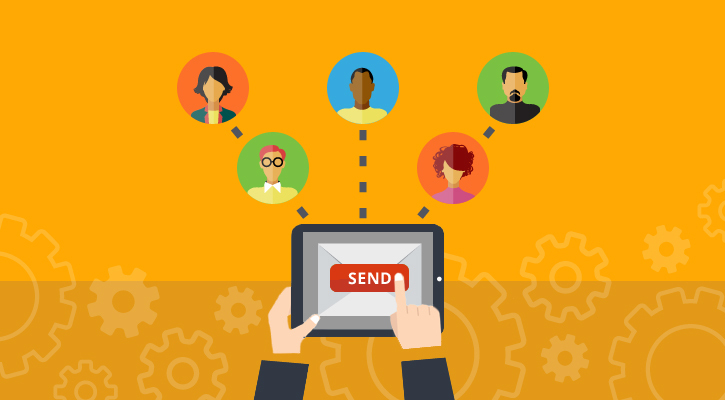 How can you attract new customers using your email automation software? You can have CTA options or have the prospective customer share his email id whenever he visits your blog to browse your content. The very fact that the visitor has chosen to read your blog is ample indication that he is interested in what you offer. Should this not be the right time to market your products and services using email automation? Once your prospective customer shares his email id, you will always be able to engage him in meaningful conversations. Marketing your products becomes easy when you develop the rapport with him. Your email automation helps in establishing this rapport. Conducting webinars is very common among businesses today. This is proving to be the best way to engage the customers from virtually anywhere in the world without having to be physically present in front of you. Inviting your existing as well as prospective customers to participate in your webinars would be possible using email automation software. You will also be able to secure registrations by providing vital links to your customers. They can click on these links and confirm their participation. This is a novel method of engaging the customers and marketing your products and services. E-commerce websites experience this problem of customers abandoning their carts midway during a purchase. The e-commerce retailer can use the email automation software program to give a gentle reminder to the customer to complete his shopping. The customer would greatly appreciate the concern shown by the e-commerce business. You can send in your fresh discount coupons or incentives to entice the customers to complete the deal. A customer should always be a customer. You should not be ending communications with him after making the purchase. Your products might need updates. Would it not be great on your part to have an email automation software program that can cater to this aspect of intimating the customers of their updates? They would not have to go anywhere else to do so. This enhances the satisfaction levels a great deal as well. Businesses can use this tactic to establish contact with past customers. Various big corporations have benefited by this method of informing customers about the upgrades. There is no reason why your business should not follow the same. Email Automation – What Is It and Why Does Your Small Business Need It? Updating your listings is also an important aspect of online marketing. Your email automation software can be of great help in informing your existing customers about the changes you have made in your listing from time to time. Use Tribe Local’s unique listing and citation programs to avail the full benefit of your local listing. Email automation is the key to success in online marketing today. In this age of information technology, it is imperative that you share information with your customers in the fastest manner possible. Your email automation software program can be helpful in this regard. How to Easily Download Facebook Videos onto your Computer? Shishir is an ex-startup entrepreneur currently working on kickstarting inbound marketing for a Silicon Valley startup. Cracked the code of generating 750K monthly traffic in 10 months by using the creative content.